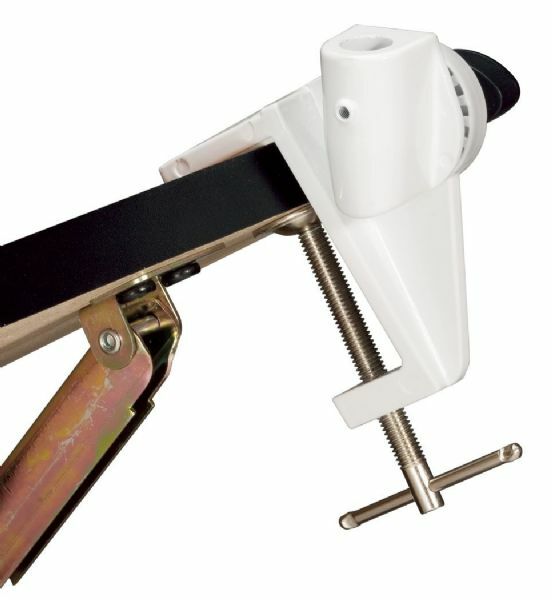 Heavy-duty adjustable clamp allows for mounting of magnifier and task lamps on drafting tables and other angled surfaces up to 2½" thick. * A comfortable knob provides easy positioning to the desired angle and then locks securely in place to prevent the lamp from moving. * All metal body with plastic adjustment knob. * Designed for use with Alvin CL1755 ML255 and FL655 lamps.